Cheap Gas – a myth or legend? Along with insurance premiums, maintenance and the annual joy of renewing your vehicle registration, one other necessary evil of owning a car is putting gas in it. Yes, fuel is the lifeblood of your vehicle, the thing that ensures you’re able to get from Point A to Point B. Yet, with gas prices seemingly always on the rise, it only makes sense that we all want a full tank of gas for the lowest price possible. Yes, you can drive all around town looking for cheap gas prices, but is that really the best way to do a gas price comparison? There’s an app for that: There’s an app for everything these days – cheapest gas prices included. Gas Buddy or GasBuddy.com allows users to enter their zip code to find the cheapest gas prices at stations in the area. A quick search on your phone or iPad will bring up several apps, but keep an eye out for those that seem less than professional grade. They may be trying to get you to buy something. Pay cash: When you pass gas stations, you’ll sometimes see two prices for the same type of fuel – a cash price and a credit price. The cash price is typically less than the credit price, sometimes by as much as 10 cents a gallon. While less and less people are relying on cash for their purchasing, keeping some in your wallet can come in handy when you’re at the pump. Ask around: Sometimes the best way to find cheap gas is simply to ask around. It’s likely that a family member or friend of yours has a “favorite station” that they go to for their refueling needs. They wouldn’t have a go-to station if there wasn’t a good reason. Some people we know even make it a mission to find the cheapest gas along their commute. So if you’re asking yourself questions like “Where can I find cheap gas near me?” and “Where are cheap gas prices in my area?” try at least one of the options above. You’re bound to start saving money at the pump to put toward more enjoyable things. 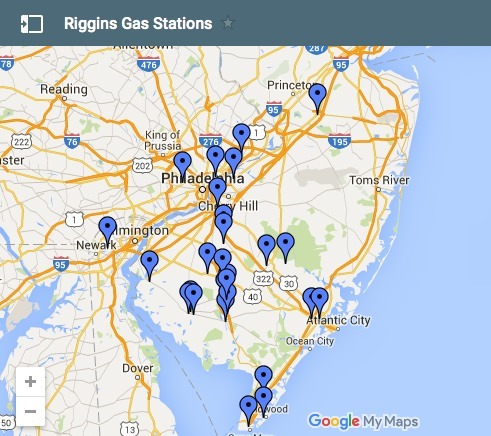 You can find a Riggins gas station near you, and check out our savings at the pump.